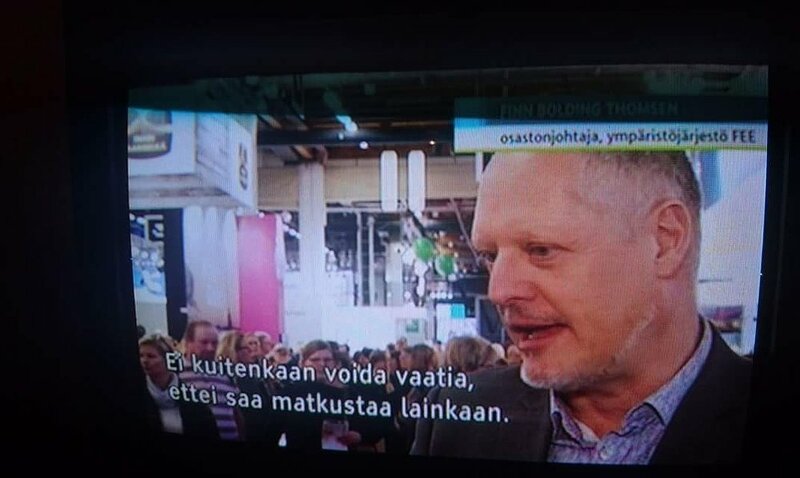 Green Key gave a presentation about the latest trends in sustainable tourism with Green Key as an example at the Helsinki Travel Fair, and Green Key was also interviewed about the subject for the national TV and radio station in Finland! 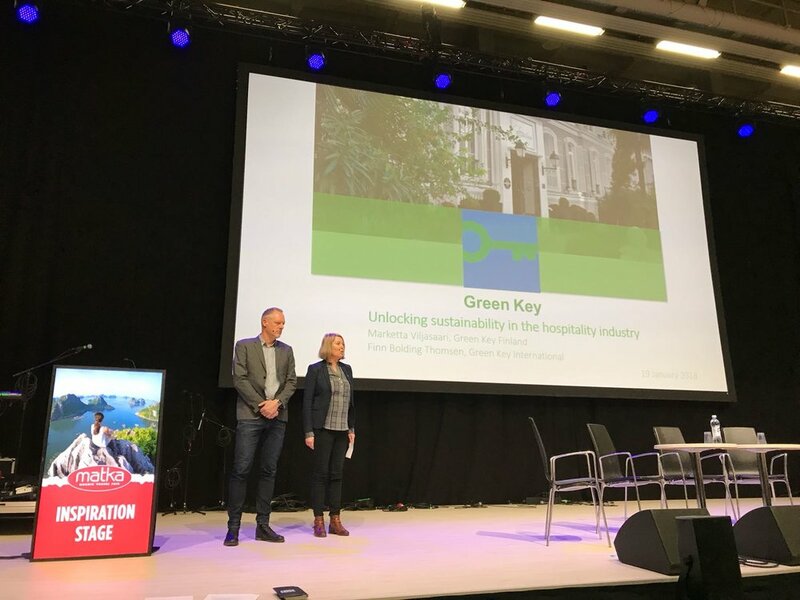 Green Key International Director, Finn Bolding Thomsen, and Green Key National Operator for Finland, Marketta Viljasaari, were invited by the Helsinki Travel Fair to present the latest trends in sustainable tourism with Green Key as an example. Finn Bolding Thomsen highlighted that the tourism industry is looking at ways to follow the UN Sustainable Development Goals, where for example large players in the industry such as Marriott Hotel Group and TUI Travel have incorporated their contribution to the goals into the corporate social responsibility policy of their companies. Concerning the travellers, research shows that they are increasingly interested in and willing to support sustainable development. This can be done by considering the mode of transportation, ensure carbon offset from travels, book environmentally friendly accommodation (such as Green Key awarded establishments), and when purchasing souvenirs to carefully consider locally produced items that are not made from endangered species of flora or fauna. Marketta Viljasaari went into more detail about how the Green Key programme can contribute to the Sustainable Development Goals for hotels and other tourism establishments with examples from the Green Key programme in Finland. After her presentation, three new establishments (including the first campsite in Finland) received the Green Key award – bringing the number of awarded establishments in Finland to 74 establishments. During the attendance at the Helsinki Travel Fair, Marketta Viljasaari and Finn Bolding Thomsen were interviewed about sustainable tourism and Green Key to YLE, the national TV and radio station in Finland. Newer PostAll hotels of Grupo Posadas in Mexico Green Key awarded!